Adobe Systems has announced that it has acquired EchoSign, a Web-based provider of electronic signatures and signature automation. Financial details of the acquisition were not disclosed, so it's not clear how much the former is paying for the latter. EchoSign is based in Palo Alto, California, though it has a sales presence in the UK and Germany. The founders of EchoSign and all full-time employees will join Adobe. 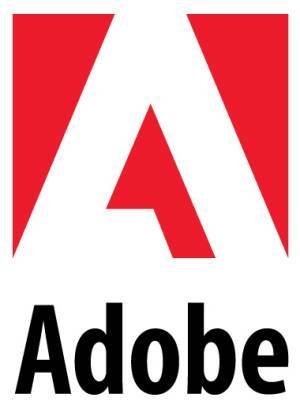 Adobe plans to integrate EchoSign's electronic signature solution into its document exchange services platform for universal access, review, and approval. EchoSign's solution, which currently supports more than 3 million users worldwide, will be offered as part of Adobe's online document exchange services platform. The EchoSign solution will be integrated with other Adobe document services including SendNow for managed file transfer, FormsCentral for form creation, and CreatePDF for online PDF creation. The goal is to reduce the time and costs of having documents signed with traditional methods, such as fax and overnight envelopes. Adobe will pitch the EchoSign solution as being able to significantly accelerate sales cycles, improve tracking, and centralize the management of signed agreements through a simple-to-use cloud service. With just one click, the EchoSign electronic signature solution automates the entire signature process from the request for signature to the distribution and execution of the form or agreement. The EchoSign service includes APIs for incorporating company-specific solutions to improve the process of sending, tracking, and signing digital documents. Used by thousands of companies around the globe, the EchoSign service also integrates with partner solutions, such as Salesforce.com and NetSuite. "Bringing together EchoSign's ease of use for contracting on the Web with Adobe's brand, reach and trust in the document space, I fully expect that electronic signatures will soon become the common way for people to sign documents," EchoSign CEO Jason Lemkin said in a statement. "With nothing to download, learn or install, there is simply no faster or more secure way for organizations to sign, track or file contracts – and close more business quickly."